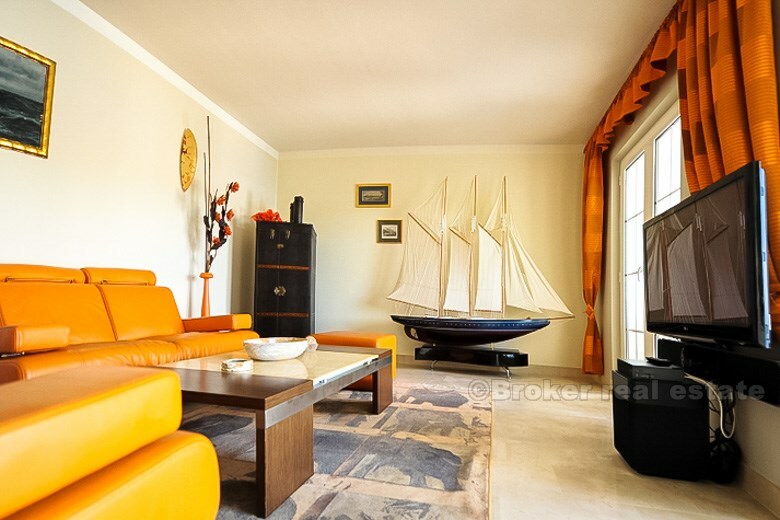 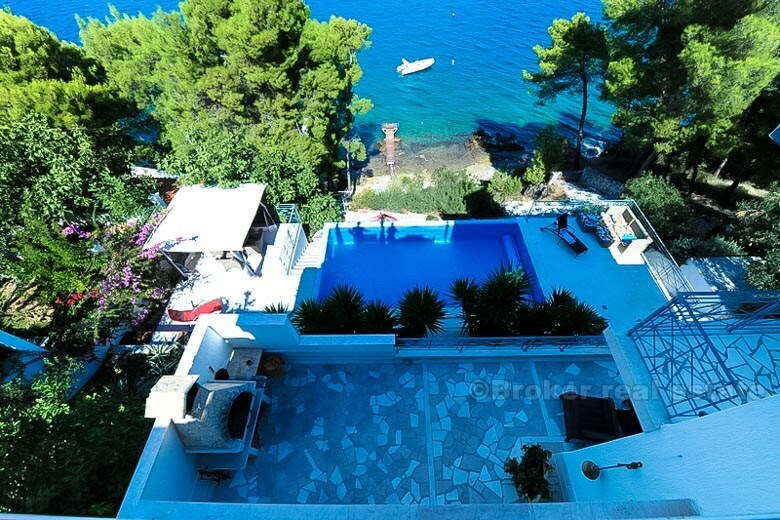 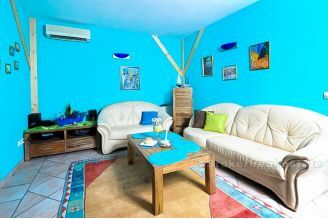 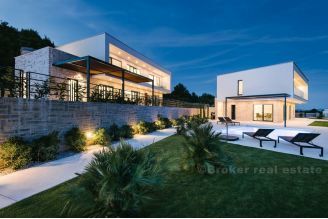 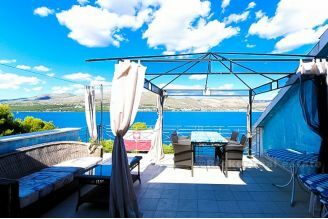 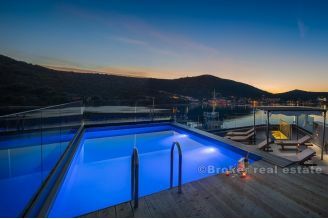 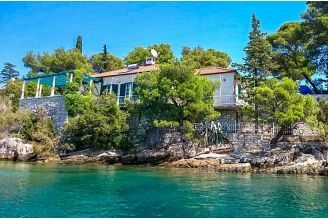 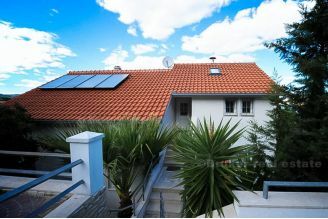 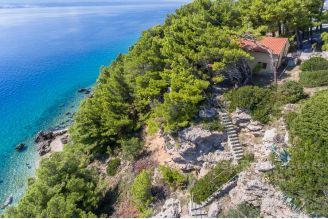 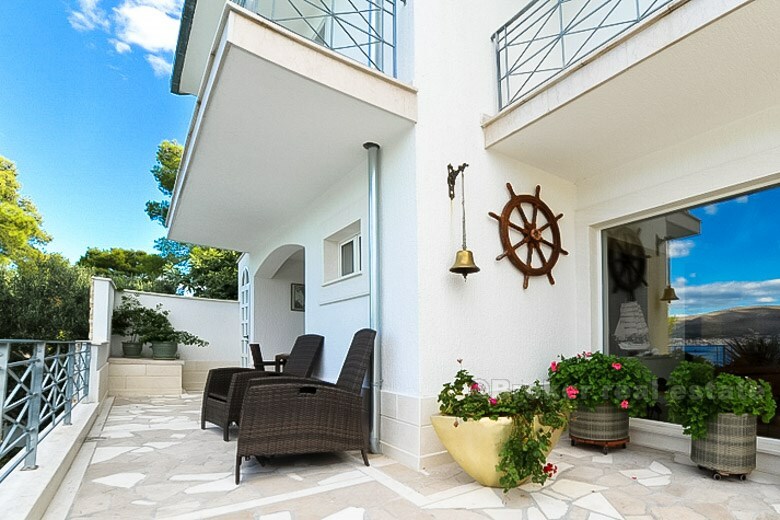 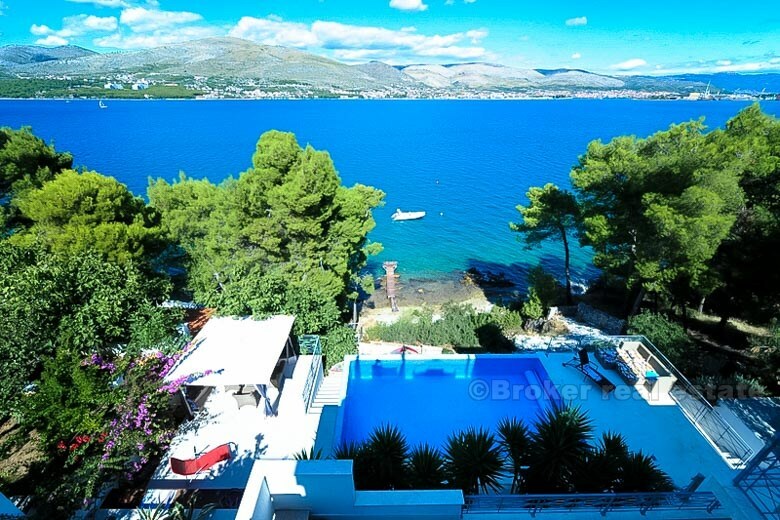 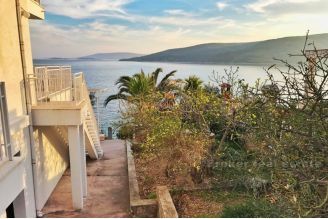 Villa nearby Trogir with 270 sqm inside surface, built on 1000 sqm plot with 40 sqm swimming pool. Its projected on three floors (each floor is one space-full apartment). 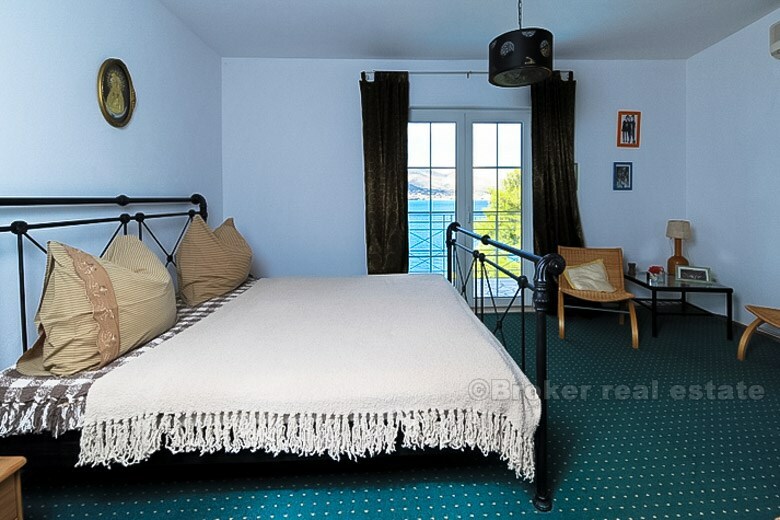 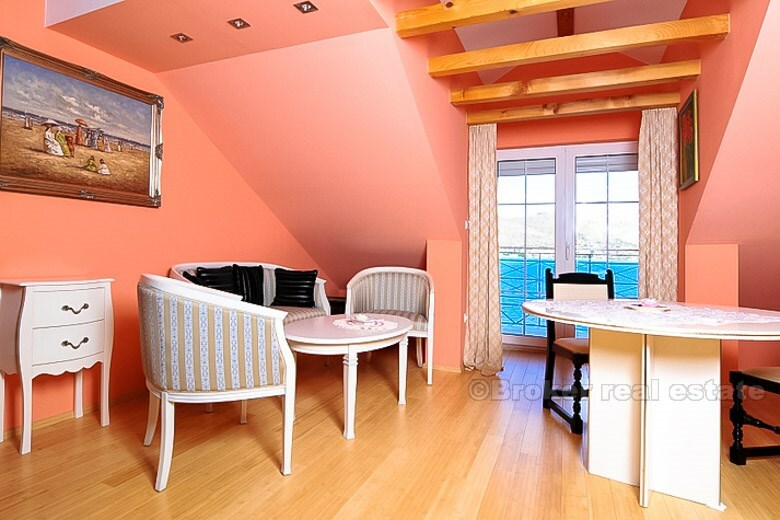 On 1st floor: bedroom 12 sqm, bathroom 5 sqm, living room with kitchen 39 sqm, sea view terrace 40 sqm, bedroom 20 sqm with toilet 12 sqm and bathroom 8 sqm. On 2nd floor: bedroom 17 sqm, bedroom 10 sqm, bathroom 8 sqm, living room with kitchen 18 sqm, sea view terrace 10 sqm. 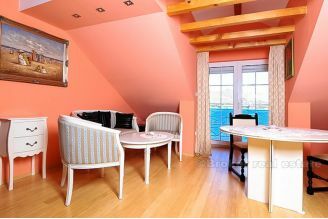 On 3rd floor: bedroom 13 sqm, closet 6 sqm, bathroom 9 sqm, living room 11 sqm, kitchen 10 sqm, sea view terrace 24 sqm. 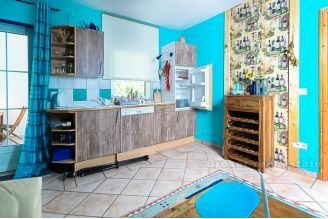 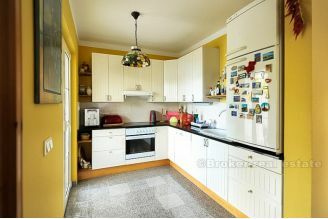 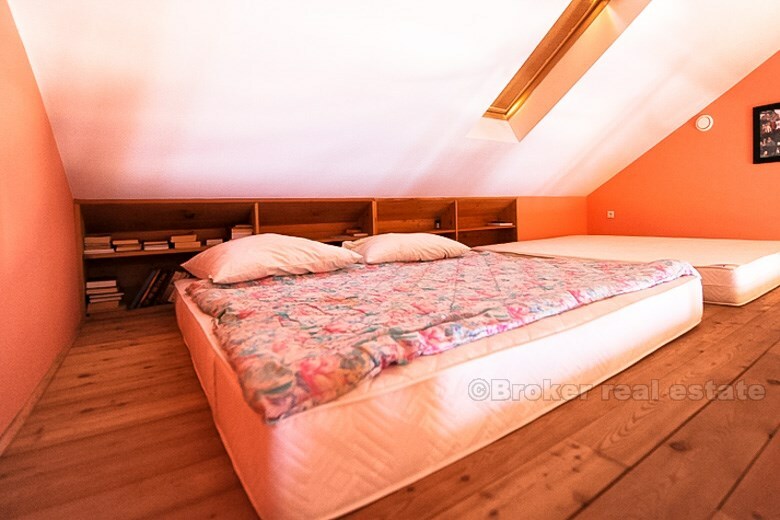 In garden house: sauna, laundry and storage 9 sqm. 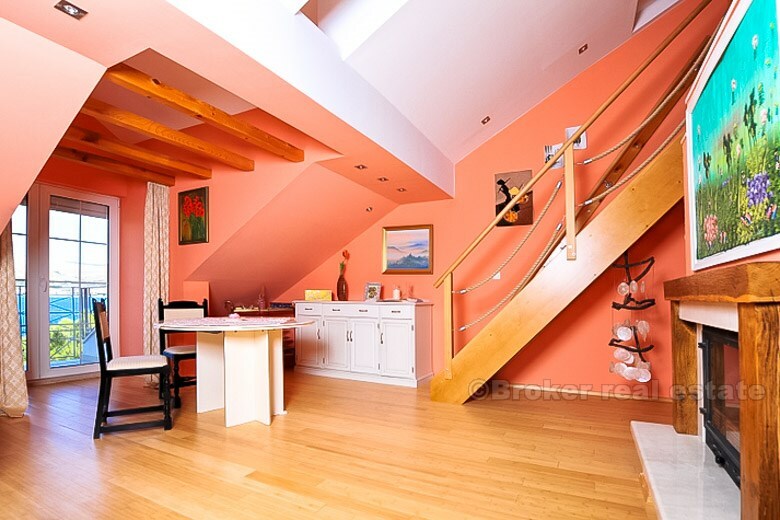 Upper, on the top is garage 24 sqm and 5 car parking. 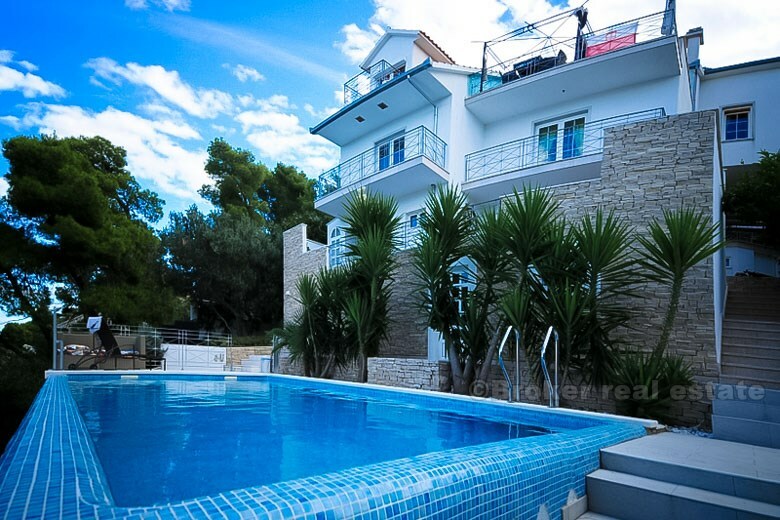 Swimming pool 40 sqm with heating and storage.